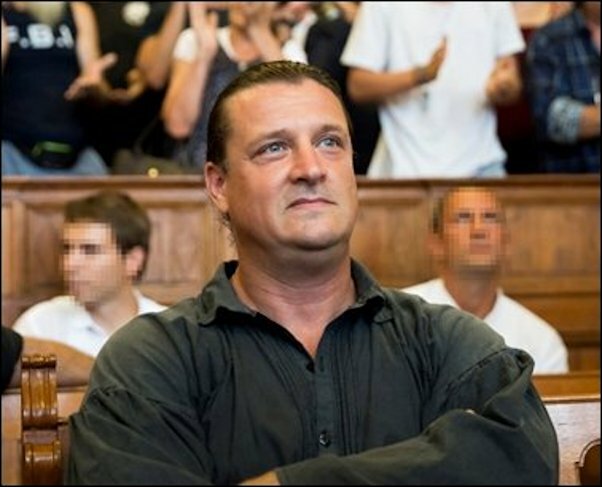 Budapest extremist György Budaházy was jailed today for 13 years, for terrorism charges. He led a group of far-right extremists, called the “Arrows of Hungarians” (Magyarok Nyilai) in a long campaign of violence, culminating in an attack on Sándor Csintalan, a former politician turned media personality. Mr. Budahazy’s group used an iron pipe to beat their victim. Mr. Budaházy’s terrorist group also bombed Socialist Party offices and blew up a cash machine in Székesfehérvár in order to steal funds to bankroll their organization. Additionally, Mr. Budaházy and his accomplices attacked two gay bars in Budapest. What worrying is this: Despite the viciousness of Mr. Budaházy’s crimes, he remains a hero in the eyes of many supporters of Jobbik (the Putin-funded Right Wing Party) many of whom turned out to his sentencing, cheered and gave a standing ovation to the convicted terrorist. One of Mr. Budaházy’s loyal and high profile supporters is Jobbik MEP Krisztina Morvai. Yes, an elected EU politician who defends terrorism, as long as it's Christian. She "began screaming in the middle of the sentencing hearing", after the prosecution informed the judge that it felt that the 13 year sentence was too lenient. The police intervened and removed all observers from the courthouse. 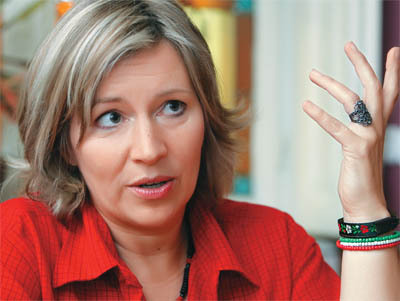 Ms. Morvai, however, was unwilling to leave and showed the police her ID from the European Parliament, claiming "she had the right to stay". Ms. Morvai’s activities on this front are clearly an embarrassment for Jobbik’s leadership - who are vainly trying to 'shake off' the 'extremist' label.